Laserfiche Forms 9.2 includes many new features that allow users to complete their tasks easily and efficiently. Several of these new features have been developed based on feedback from those working with the product, and we encourage more feedback for future releases. 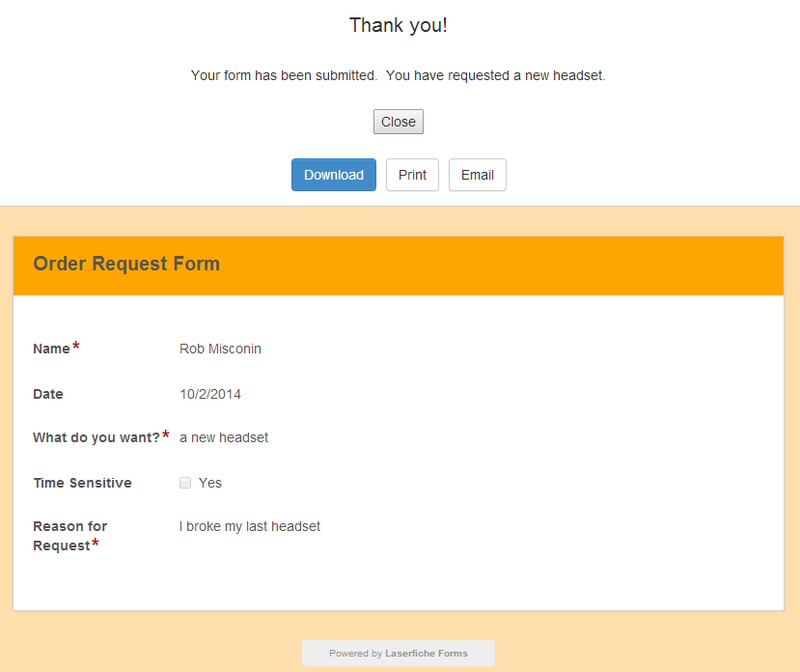 You can provide feature request ideas and feedback via Laserfiche Answers or by contacting your sales representative. Inbox. The most notable change in Laserfiche Forms 9.2 is immediately noticeable as soon as you log into Laserfiche Forms. 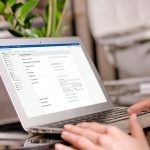 The new Laserfiche Forms Inbox provides a central location for users to interact with their tasks. From one central location, users can view and complete pending tasks; review previously completed actions, forms and instance information; finish incomplete forms; and start processes. This allows users to make informed decisions by presenting all pending tasks side by side, and allows them to efficiently complete their all tasks from the same page. Learn all about the new Inbox in this Tech Tip. Signature field. 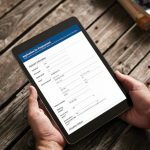 The most commonly requested feature that has been developed for Laserfiche Forms 9.2 is the brand new Signature field. Forms can now be signed with a stylus, finger, mouse or simply by typing your name and choosing a signature font. Additionally, users are able to configure a default signature that they can apply with a single click. Learn more about the Signature field in this Tech Tip. Thank You page. The webpage that appears after a user has submitted a form now allows that user to view, download and/or email his submission. Additionally, Laserfiche Forms administrators can use tokens to dynamically display information captured on the form directly in the “Thank You” message or dynamically redirect the user to another website. 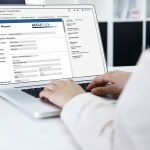 For more specific information about all the new features in Laserfiche Forms 9.2, check out What’s New in Laserfiche Rio, Laserfiche Avante, and Laserfiche Forms 9.2.